Mrs Jones has 3 dogs, Max, Butch and Molly, who have their birthdays this week. Every year, Mrs Jones buys them presents. This year she wanted to buy them new collars so she went to the pet shop. They sold collars in 3 colours: red, blue and green. Find all the different combinations of coloured collars that the dogs could have? Maths investigation time! Which nets will make a cube? Forest School in the Snow! A bit of snow doesn't stop Aslans. We used whatever we could find, including the snow, to make Christmas or winter themed pictures. 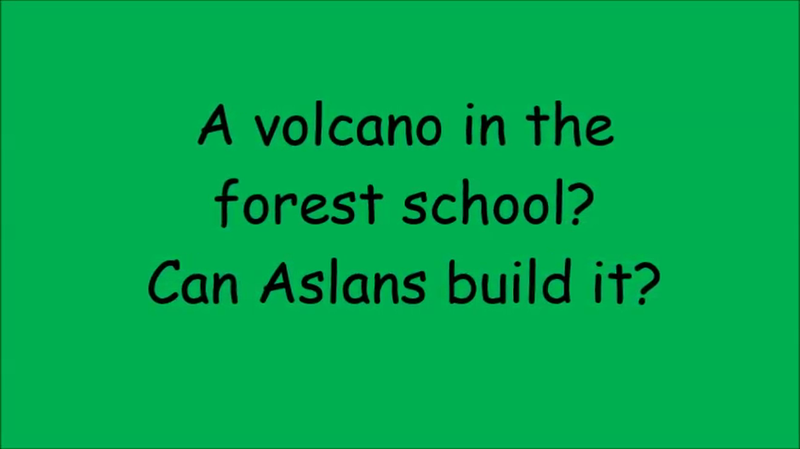 This is a video of the volcanoes we made in our first Forest School session on Wednesday afternoon. Watch the video - it includes some photos of us building the volcanoes using whatever we could find and some video clips of the volcanoes erupting! Forest schools fun! We have been colonised by new creatures who need a habitat! Our trip to Magna - what a fantastic day!